Hyundai Motor has just announced the hiring of luxury car and sports car designer SangYup Lee as the Korean automaker's new Vice President of Styling at Hyundai Design Center starting from this June. While at Bentley, he was resposible for the exterior design of the EXP 10 Speed 6 concept as well as the Bentayga. "The innovative design and surprising growth of Hyundai Motor has always made me proud as a Korean while I worked overseas. Now, I want to contribute in creating world-leading automobile designs for both Hyundai Motor and the GENESIS brand," said Vice President SangYup Lee. "Vice President Lee has proven himself as one of the world's best automobile designers in the global platform. His design philosophy to pursue new challenges and innovations matches the DNA of Hyundai Motor," said Senior Vice President Luc Donckerwolke. 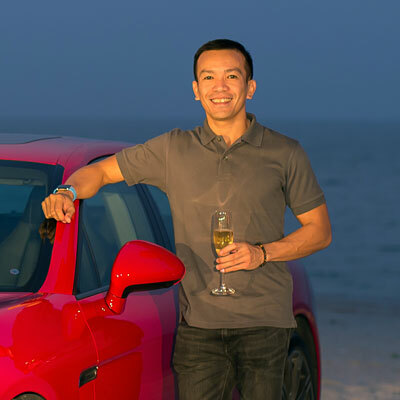 Before joining Bentley at the end of 2012, SangYup Lee worked for Pininfarina and Porsche Design Center, General Motors in charge of concept cars and was responsible for the design of the 'Bumblebee' Camaro from the movie Transformers and the Corvette Stingray Concept Vehicle, Volkswagen, Audi, Porsche and Lamborghini design.